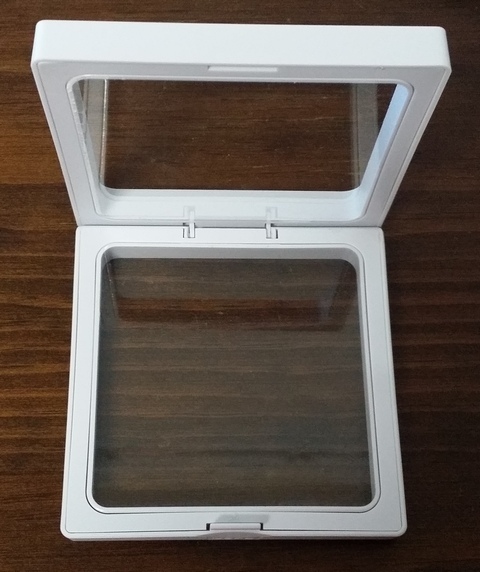 Plastic framed box with flexible membrane. 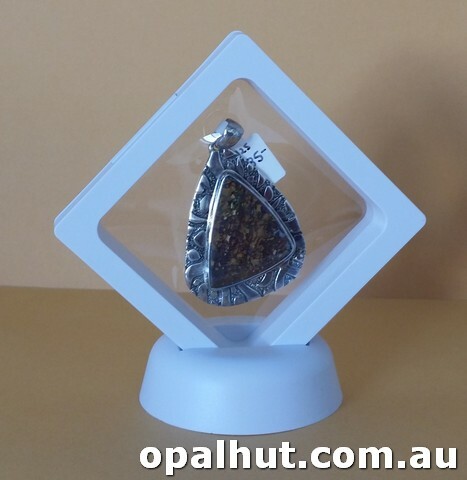 Gives a wonderful floating effect to your gemstone or any other memorabilia you wish to display. View both sides of the item without having to unpack. 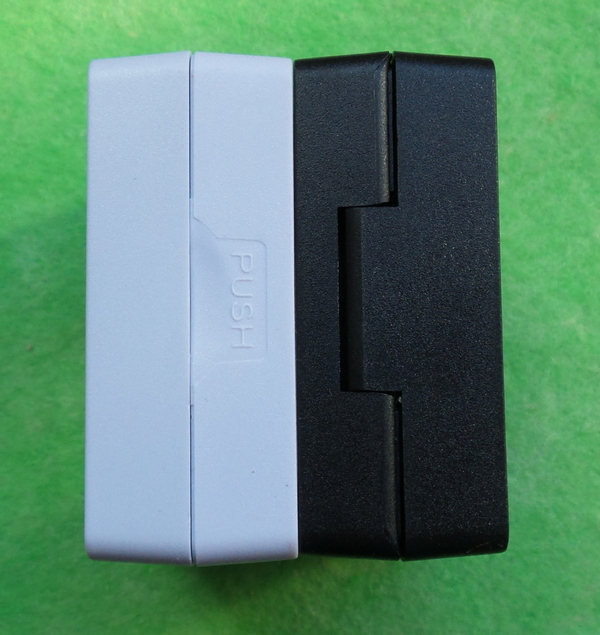 Plastic frame with 2 flexible membranes that embrace the item and holds in place. View both sides without disturbing item. PLEASE EMAIL FOR POSTAGE COSTS as they vary so much with Australia Post. We will use Flat Rate Sachels where cheaper. Shipping charges shown will give approximate price only. When combining different sizes postage will vary as Australia post charges by volume as well as weight. We will only charge for actual packaging and post costs. If the postage price calculated seems excessive, please contact us for a quote. Minimum parcel cost with Australia Post is $8.50. Prices calculated are for the larger boxes. One pair of stands for display box. 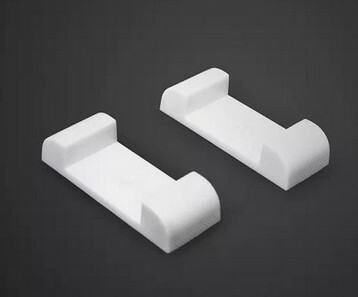 Suits 2cm width membrane boxes. 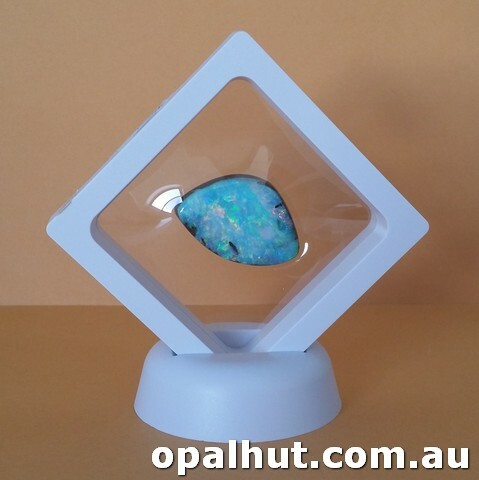 Opals and box not included, for display purposes only. 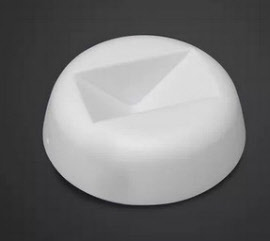 One single round stand in black or white plastic. 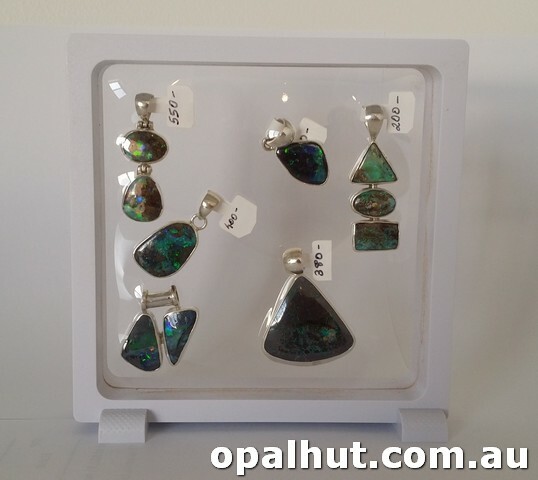 Box and opals not included, for display only. Suits 2cm width membrane boxes. 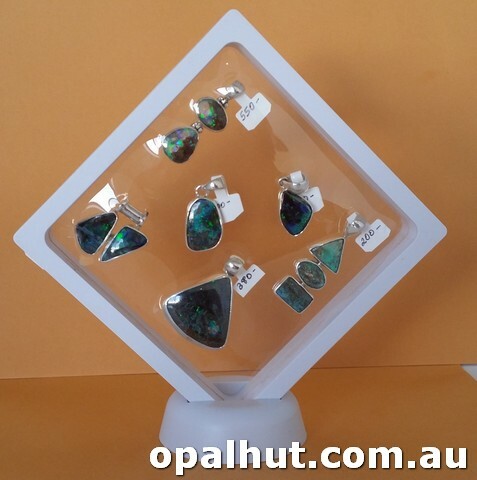 Cost is for 1 display box, opals and stands not included for display only. 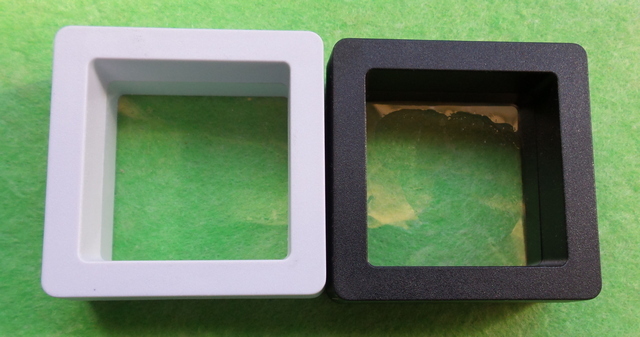 Plastic frame with 2 flexible membranes that embrace the item and holds in place. View both sides without disturbing item.. PLEASE NOTE, IF YOU DO NOT CHOOSE A COLOUR YOU WILL BE SENT WHITE. We have white only in a couple of the sizes, and I have noted this by saying WHITE ONLY. If calculated postage works out at less than cost, we will refund the difference, it is hard to calculate the postage with Australia Post and their volume/weight calculations and the different sizes of boxes. PLEASE EMAIL FOR POSTAGE COSTS as they vary so much with Australia Post. We will use Flat Rate Sachels where cheaper. Shipping charges shown will give approximate price only. We will only charge for actual packaging and post costs. If the postage price calculated seems excessive, please contact us for a quote. Prices calculated are for the larger boxes, eg. we can only fit 20 larger boxes in a 3kg satchel, but could fit around 60 small in the same satchel. 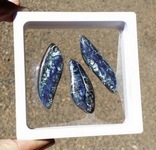 You can send in your order without paying with a note asking for postage costs. We will email back an invoice including postage. Minimum parcel cost with Australia Post is $8.50.